On the east side of the city of Fremont, a 10-acre parcel has sprouted thousands of metal posts, which will soon hold solar panels. 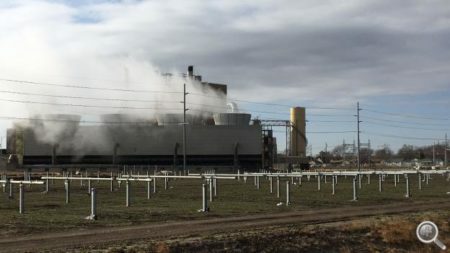 Once fully built, Fremont’s new community solar farm will offer a sharp contrast to the nearby coal plant, which provides enough power to supply the whole city, according to Fremont City Administrator Brian Newton. But the coal plant is aging. So when Newton came to Fremont a couple years ago, city officials started looking at ways to diversify the power supply. They bought 40 megawatts of power from a wind farm south of Hastings. Then Newton used a federal grant to explore building a community solar project. “What we found out was, as a municipality, we could finance and do it cheaper than what we could buy it from a power purchase agreement or any other arrangement,” Newton said. The next step was a community survey to gauge interest from customers. Click here to continue reading. Photo by Ariana Brocious, NET News: Fremont’s new community solar farm will be adjacent to its existing coal-fired power plant. The posts are in but the solar panels haven’t yet been installed. To learn more about different types of community solar development in Nebraska and the benefits to our cities and towns, join Nebraskans for Solar and co-sponsoring organizations on Thursday, December 14 at 7 pm at UNO’s Community Engagement Center. Co-sponsored by Green Bellevue and Sierra Club. All our events are open to the public. Please join us and contribute to the discussion! Refreshments provided. Click here for parking information. 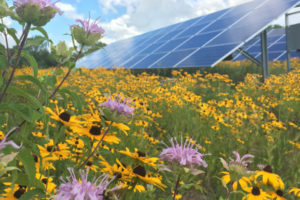 This entry was posted in Community-Scale Solar, Nebraska / Midwest News, Solar Energy Education and tagged Ariana Brocious, community solar development in Nebraska, community solar education, NET News, types of community solar, utility-scale solar development in Nebraska on December 7, 2017 by Helen Deffenbacher. Nebraska is the only state that relies entirely on public power, meaning we get our electricity from locally-owned, nonprofit utilities as opposed to investor-owned private companies. 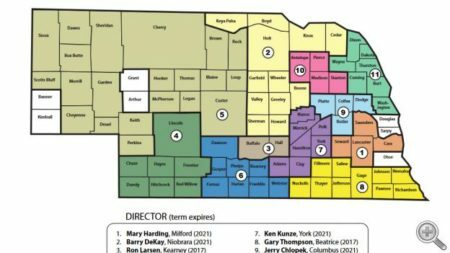 The state’s largest utility, the Nebraska Public Power District, is run by an eleven-member board of directors. This fall, candidates for four of those seats will be up for election. “The board really sets the direction on whether they’re going to keep upgrading and maintaining existing plants or if they’re going to go with new technology like wind and solar and other renewable sources,” said Janece Mollhoff, natural resources director with the nonpartisan League of Women Voters of Nebraska. Continue reading. This entry was posted in Nebraska / Midwest News, NewsBlog and tagged Ariana Brocious, NET News, NPPD Board of Directors on September 16, 2016 by Helen Deffenbacher. 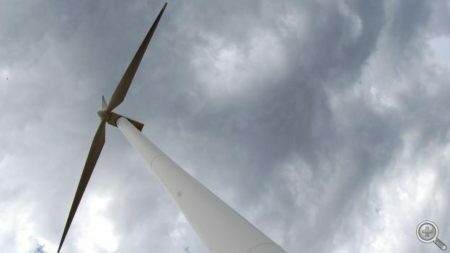 “It’s really a reduction of paperwork,” said Rich Lombardi, a lobbyist with the Wind Coalition, which represents wind developers and trade groups. Read or listen to the entire story here. This entry was posted in Nebraska / Midwest News, NewsBlog and tagged Ariana Brocious, Nebraska wind legislation, NET News, renewable energy development in Nebraska on April 27, 2016 by Helen Deffenbacher.